See summary parent article on short-term disaster resilience and prepping for other priorities. 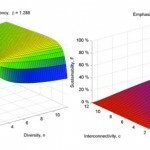 Financial resilience means financial diversification and is obviously a subset of resilience more generally. For a starter, download FEMA’s Emergency Financial First Aid Kit in which they discuss finding and safely storing documents, reviewing insurance policies, and a checklist to ensure you have what you need. As a step beyond that, we might consider diversifying. 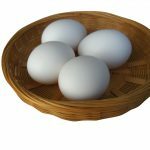 Diversification simply means putting your eggs in more than one basket. Not a secret. Want financial security? Diversify. But how much? I grew up hearing about diversification and it was applied across different stock investments (company x and company y) and maybe different industries (e.g., transportation and financials). But if you know your history (e.g., the Great Depression), boom and bust cycles come and go, along with banks and brokerage firms. So, it might also be prudent to diversify among different banks and different brokerage firms, no? In addition to stocks, obviously, there’s real estate, commodities/futures (which covers a lot of territory from rough rice to crude oil to silver and gold). What about multiple currencies (e.g., U.S. Dollars, Swiss Francs, Canadian Dollars)? What about internationalizing your resilience by having assets in multiple countries? Folks like BFI can help you but they require a minimum of $250,000 to do so. What about land with a developed, permaculture-inspired, food forest and water? What about a community of people who have the social technology necessary to cooperate in producing their basic needs? Financial security ends up being about security period and thus blends into other areas of resilience. It’s interesting to me that “conservative” financial folks can talk about diversification but then get off the diversification boat at what may seem arbitrary points, dismissing those who put their eggs in more baskets than is culturally normative (for recent times) as “Chicken Littles saying the sky is falling” (see humorous audio about this and this post on societal collapse and resilience for more context). In any case, people who have a lot of money — or perhaps a community cooperating together (see social technologies) — can diversify in all of these ways. Only those who can predict the future can put their eggs into one basket. Those lucky folks wouldn’t buy fire insurance either. This post has been read 1851 times.